Complete turbo kit for your 2001-2005 1.8 Mk2.5 Mazda MX-5. This is a complete turbo kit for your 2001-2005 1.8 Mk2.5 Mazda MX-5. 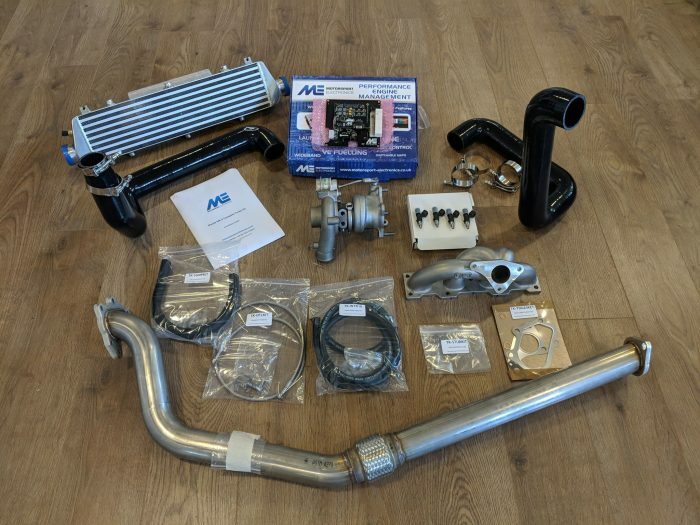 It includes all the parts you need to transform a stock MX-5 into a turbo charged 250BHP machine (with the addition of a clutch and further tuning). Note the supplied base-map should be safe for you to start and run the engine. We are on hand via team-viewer as part of this package to help with startup.